Home / Deepika Padukone / Gossip / Ranveer SIngh / Checkout this inside pictured from Ranveer Singh’s Haldi ceremony! 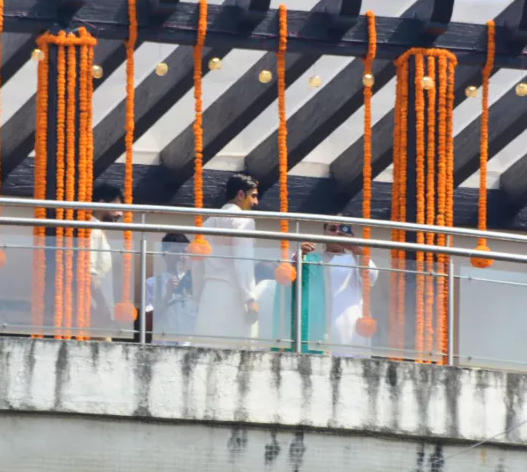 Checkout this inside pictured from Ranveer Singh’s Haldi ceremony! Ranveer Singh and Deepika Padukone’s wedding celebrations have finally begun. 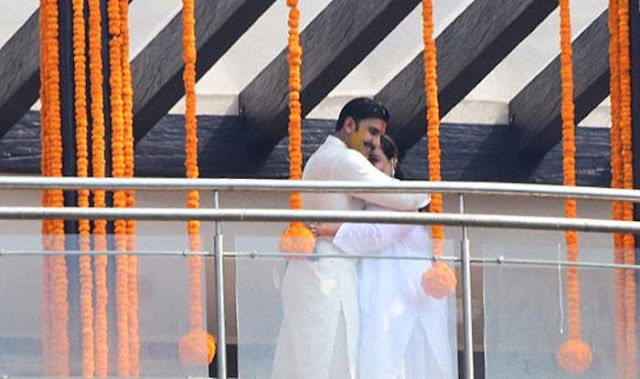 Recently, a Nandi Puja held at Deepika’s residence. 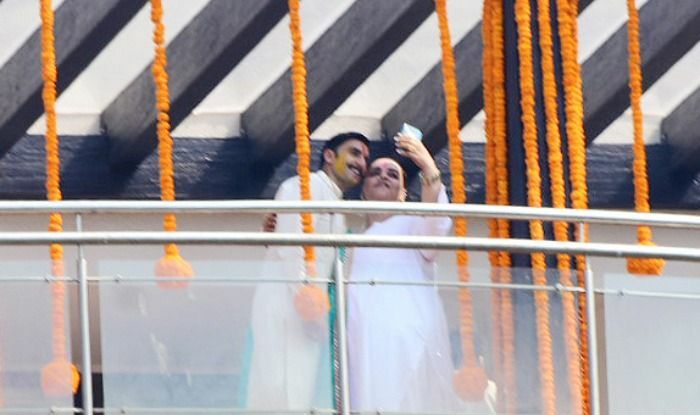 And now, pictures from Ranveer Singh’s haldi ceremony is doing the rounds on social media. 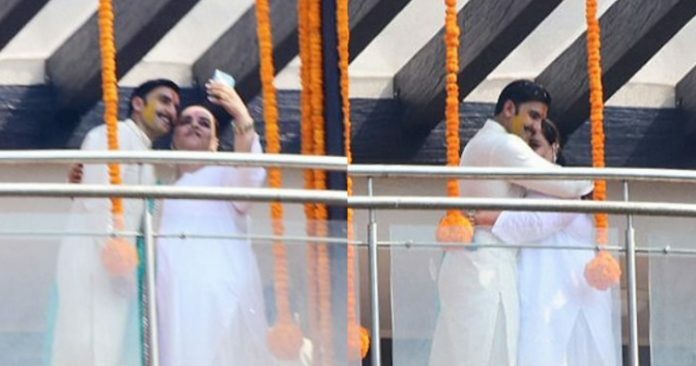 Dressed in a white kurta and pyjamas, Ranveer can be seen posing with close pal, casting director Shanoo Sharma at his house. Well, we can see Ranveer Singh’s house all decked up with the marigold yellow flowers.